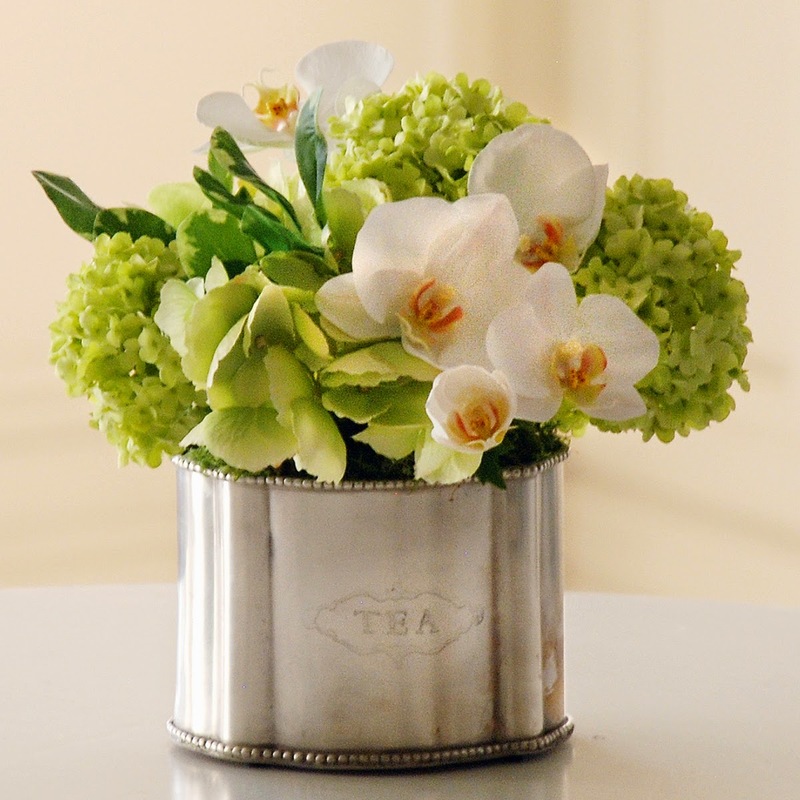 This is a fun concept...take some of our most popular blossoms and arrange them casually in a metal sugar or tea caddy. This works...looks great, don't you think? Click HERE to find this great new design on our web site, everybody.